You guys know how much I love symmetry and structure so, naturally, Inside Llewyn Davis and its tale of a deliberately structured journey, naturally, piqued my interest. Although the Coens' latest might appear formless in its push for randomness, Inside Llewyn Davis is significantly about structure and formal symmetry and the sameness which comes with it. But, I’ll get to that in a minute. The film tells the tale of the eponymous Llewyn Davis a folk singer, formerly part of a duo, trying to catch his big break in the very early sixties. He is talented, although maybe not overwhelmingly so. Talented but, perhaps, without that ineffable, but handy, thing called genius. And, the world of music being what it is, success has proved elusive. And, still, he continues to trudge on. Steadfastly. Hopelessly. Sometimes even with feigned reluctance. But he trudges on, on this seemingly ceaseless journey. And, as he does he seems unable to discern why success is elusive, or further, he seems unable to change his disposition along the way. So, things keeps happening to him, he makes similar mistakes on and on, and the journey goes continues. And, from that simple plot indicator the structure of Inside Llewyn Davis rises. A cycle. I pay, sometimes overly judicious, attention to the opening and closings of art work, films included. And, so, I was immediately taken with the way the cyclical nature of its narrative was informed by its beginning and end. After Inside Llewyn Davis I remembered two recent films with similarly melancholy roots, with steadfast focus on their (male) protagonists which had made me pay specific attention to the way endings and beginnings informed story conceits. Last year, Oslo, August 31 opened wih scattered shots of the city and our main character opening a window shutter. It ended with him closing a window shutter, and similar shots of the city. A year earlier, in 2011, Rampart opened with corrupt cop Dave driving through the streets he ruled, as a tough bellwether of justice. It ended with him, in disgrace somewhat, but driving through those streets again with the same supercilious air. Unchanged, as if driving around he had gone nowhere. I will not spoil the specifics of Inside Llewyn Davis and its beginning and end but the sense of cycles maintains. It would make an excellent addition to the duo of Rampart / Oslo, August 31– the way the ending is the beginning and it all, not just suggests, but, pounds home the almost banal sameness and cyclical nature which comes when a life is lived, perhaps, but not to its fullest. 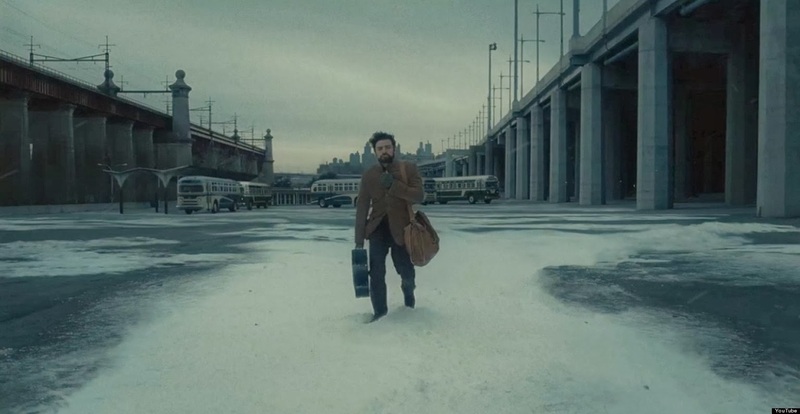 The difference with the Coens' and Moverman and Trier is that unlike Rampart’s stolid prickliness or August: Oslo 31’s moody melancholy Inside Llewyn Davis is a warm film. Yes, a film about the cyclical and about elusive success and even with a main character who is not at all gregarious, the film itself is warm and inviting and its cyclical nature, although specifically not happy in the way it falls in the final moments, is never quite defeatist. Inside Llewyn Davis made me immediately susceptible to its many charms by opening with a musical number. I love good music and a good musical, even a quasi-musical. I’ve grown to love movies more but, of all non-stationary art (my made up word, stationary meaning paintings, sculptures, and other visual arts) music is the one which generally is able to transfer emotion in the shortest space of time. For filmmakers as deliberate as the Coen brothers it is not mere incidence that we meet Llewyn singing. Not (just) because singing is such an essential part of his person, but because when he sings he is at his least prickly, at his most vulnerable and, so, at his most sincere. I almost titled this review after that old Marilyn and Alan Bergman song “How do you keep the music playing?” because it’s where Llewyn is at his most comfortable. But, as good as he is at it - it is not enough. It’s why the most tragic line, although resoundingly honest, from F. Murray Abraham’s launching the film into its final third (I shall not spoil the line, it’s too delightful having not anticipated it) is so devastating. Singing is the best thing about him, but it still is not enough. It suggests one of those unanswerable questions the film is softly asking – why do musicians intrepidly keep at it when economic viability seems so intangible? It’s more than just about a love for the trade, that part is important but it’s not quite it. Llewyn, finally at a point in the film, decides to quit the trade and rejoin the merchant marines. There, his attempts seem to be foiled at every turn. The gods seem to be telling him, there can be no change for you and no joy. Only ceaseless, unscussccesful attempts at music. Again I say, circles…. The motif of the recurring orange cat in its own finite way hits it home effectively. The original orange cat of his well-to-do friends is replaced by a similar orange cat he picks up as a replacement and is unable to shake off until a terrible road trip comes to an abrupt end. Later on he hits, possibly killing, an orange cat. Is it the first cat, or the second cat? Or another cat? Or nothing at all? Llewyn returns to the Gorfein’s later. Their cat has, apparently, returned. It’s purpose as a tool of humour seems consistent, but for me it is the Sisyphusian nature which is most significant. As simple as Llewyn being unable to escape that damned orange cat he seems to care for, in his way, for reasons unbeknownst to him so has life taken him in with him unable to define what his exact point is. Tongue-in-cheek in its name, Ulysses is the name of the Gorfein's cat. But Llewyn is on a journey not quite like the Odyssey. Will he, after a decade, finally make it to somewhere where he is King and can call home? 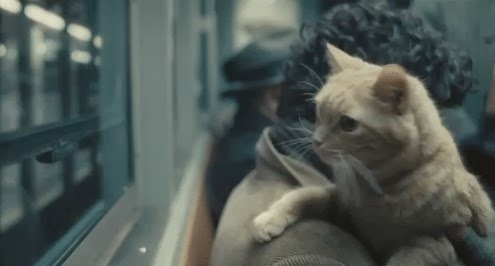 Or are the Coens' gently mocking the fact that unlike this inescapable cat, Llewyn has no home and unlike Ulysses (the cat and legend) his journey is one with no real point? The drifting sadness of Llewyn's situation does not seem to be as immediately unfortunate as it is because of the way Isaac dons Llewyn's nonchalant attitude with aplomb. The closest he gets to dejection, though, is in a return to Jean's house where he utters probably my favourite line of a movie with many favourite lines:"I just need a place to dump my stuff. I'm tired of dragging it all around with me." His voice does not quite crack on the line, but the desolation is palpable. And, yet, later he dons the attitude of deliberate nonchalance to hide his despair. Unlearning. Circular, and more circular. 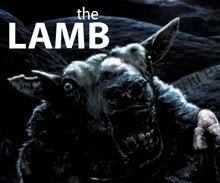 Maybe the Coen’s ultimate point of the film is to offer a dissertation on the cyclical nature which comes after loss. For, Llewyn is haunted by loss. This is no Emily Dickinson way of dealing with loss from a formal feeling to a letting go, but the ghosts of Llewyn’s dead music partner Mike haunts the film in parts. Llewyn, in a rare moment of raised voices in the film, loses it when a friend interjects to sing dead-Mike’s part in the song. The wound is never opened for inspection, but this is not that kind of film so it does not feel undernourished that the issue is not addressed. We’re told as much as we need to when, on hearing that he used to sing with a partner, an impressed listener says “You should get back together.” After the slightest beat Llewyn replies, “That’s great advice.” Or, maybe it’s not a dissertation on loss specifically and just a general observation on the way human life can be marked by the banalities of sameness but still – perversely retains beauty and charm. Because, oh yes, is this film beautiful to look at. Not just the film, but the performers impeccably dressed have rarely looked as lovely on-screen. Visually their lives seem charmed. Emotionally, less so. It's as if Bruno Delbonnel hazy, gorgeous cinematography in its softness lulls us into feeling so pained at the harsh world of the film's content. Maybe the unending cycle is about neither. 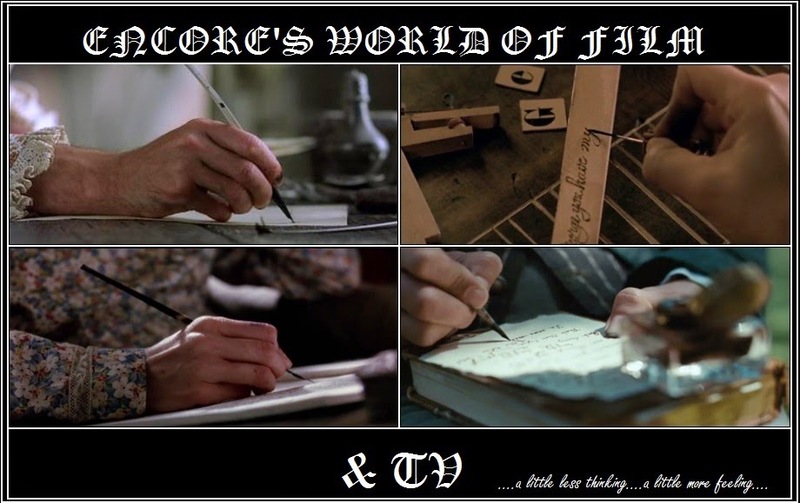 Clearly, the Coen brothers mean for us to decide what it all "means" in the way they leave us with an ending that gives no closure. And yet, I don’t find myself in suspension when Inside Llewyn Davis ends. The title is a misdirection. We never really get inside Llewyn. We spend the entire film with him but he is inscrutable to a great degree. How can we study him when he uses his face of superiority to hide his issues. What we do end up doing is walking alongside him, understanding the sadness and disappointment he carries with him, feeling personally injured when he makes decisions which do him no favour, and feeling disenchanted that his dreams seem as ineffable and illusory at the “beginning” of his journey as much as at its end. No success for you, only constant attempts. A fact made even more sad by the way such constant dejection is framed in such a beautifully shot film suggesting something kinder, but presenting something that despite its warmth is full of despair. Or, maybe, that’s just me and the way I react to Llewyn with the same amount of adult solidarity I felt when espying downtrodden Anders in Oslo, August 31 is completely subjective. I don’t know why Inside Llewyn Davis worked with such effectiveness for me. Maybe the 1000 words before me are just incidental. All I do know is that fifteen minutes in I knew this was something I greatly appreciated and even as the diversion of a road trip Llewyn heads down is my least favourite part of the film on a purely narrative level each scene informs the other as Llewyn journeys around going nowhere. The film opens at the Gaslight Café, switching to Gorfein’s empty apartment to irate Jean. Towards our end, moving in circles, we return to Jean no longer irate, or not in the same ways. We stop at the Gasight Café, a pitstop before returning to the Gorfein’s ending up right back at the Gaslight Café where the end imitates the beginning. Or the beginning the end. The film is edited so well it feels shorter than its 100 minutes. And when that final, much too pithy Llewyn line of dialogue, but so apt for the film is spoken I was as gutted as much as I was saddened by how Llewyn’s self-destructive inability to truly change was represented. But, can’t we all look and recognise that part of ourselves that clings, almost fearfully, to sameness for fear of the unknown? Or maybe that's a specific moment of relatableness from the film to me but the Coen’s in their representation of that flaw in a human makes the moment full of sincerity and tenderness that makes it sad but still….not. I'm misapporpirating a quotation here, but when I’m happy, I listen to the melody and it’s easy charm lulls me. when I’m sad its lyrics remind me that the tone and the music belies the tragedy beneath. That’s Inside Llewyn Davis. Tonally, and formally its mood seems warm and even pleasant and it is beautiful to look at but shot with a softness of the camera which makes it not sharp and harsh but hazy and distant, like a memory. But its insides are melancholy and unrepenting in its sharp sadness.